The thought of federal employees being dragged into humiliating interrogations because they didn’t wear lipstick, seemed too masculine or feminine, or went to a bar or a party with other gay people, seems preposterous and outright illegal to us today. But the truth of the matter is, this unconscionable government-sponsored witch hunt happened for decades, ruining the lives of gay people, sending them into hiding and prohibiting them from fruitful careers. 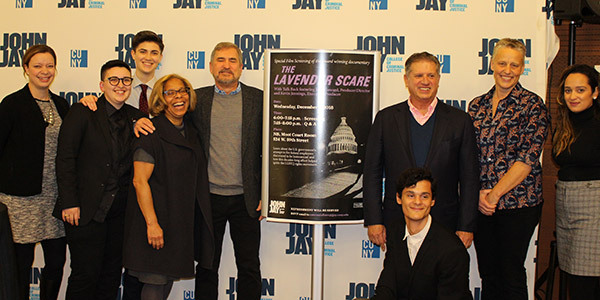 That’s why The Lavender Scare, a documentary from Josh Howard, Producer and Director, and Kevin Jennings, Executive Producer, was screened at John Jay on December 5, to shed light on this historical injustice. The film revealed how the U.S. government fired federal employees they discovered to be homosexual. The events depicted in The Lavender Scare happened long before Stonewall, and long before the Gay Rights Movement was fully underway. In fact, out of fear and intimidation, most of the federal employees that were targeted in the documentary painfully accepted their terminations and tried to move on without drawing more attention to their situations. “Probably thousands of people had been fired before any one of those people stood up and said, ‘Why am I being fired and what did I do wrong?’” said Howard. “Then Frank Kameny, a Harvard trained astronomer and brilliant scientist, was fired because there was an anonymous allegation that he was gay. He was the first person to fight back and appeal his dismissal and file court cases.” Kameny and nine other people picketed the White House in 1965. It was the first Gay Rights demonstration that was ever held, igniting the Gay Rights Movement. As a college focused on justice issues, President Karol V. Mason reminded the audience that the documentary spoke directly to our mission of exploring justice in its many dimensions. 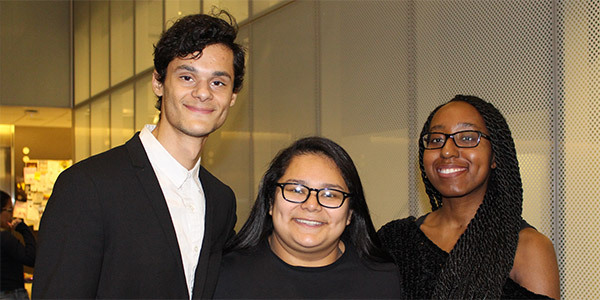 “It's a film that reminds us how easily fear and uncertainty foster acts of discrimination, rolling back the rights of an entire class of people,” said Mason. “I’m hoping that this is a call to action and a reminder for all of us about why we need to stay vigilant.” She went on to say that CUNY enrolls an estimated 17,000 LGBTQI students, and reminded them that they have a strong network of support, including: Christorpher Rosa, Interim Vice Chancellor of Student Affairs; David Rivera, Co-Chair of the Center for LGBTQI Studies; and Mitch Draizin, the Chair of the CUNY LGBTQI Leadership Council, who helped make the film screening possible. We talked with a some John Jay students at the event, and learned more about their interest in the docmentary. 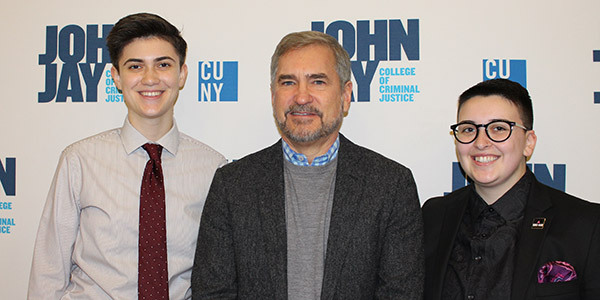 "The Lavender Scare screening was an incredible opportunity to be exposed to a justice issue widely discussed on our campus through a different lens. Having the director there for a Q&A also reinforced the notion that giving these stories a platform is always necessary—especially in our current day and age."